Express a preference: Don't be shy if you like to position yourself a certain way, or sit in a particular seat. Explain why this works best for yourself and others when communicating. Ask questions: Before going out, its best to ask questions on what kind of venue you'll be going to. 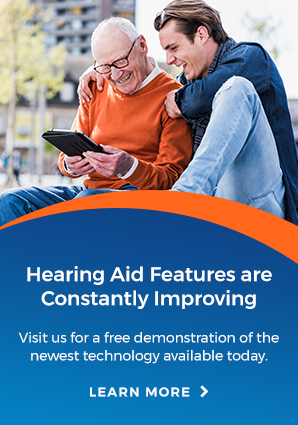 You may find that some places have loop systems that will work with your hearing aids to help improve your listening environment. Find the best seat for you: Acoustics, lighting, and view can all both help and hinder those with hearing loss. Pick a seat that gives you the best advantage. Carry spare batteries: Always carry an extra package of hearing aid batteries on you. This little tip will go a long way to boost confidence without having to worry about your batteries dying. Be a planner: Most people like to 'go with the flow', but it's good to know where you're going and what the destination may bring. Surprises can be fun, but not when they negatively impact your ability to hear.